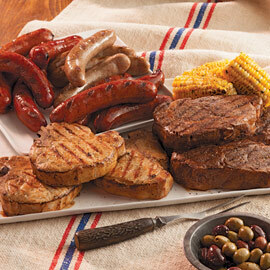 The Griller's Special is ideal for game-time parties, backyard barbecues and family get-togethers. 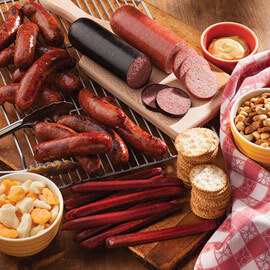 Enjoy four of our favorite smoked sausages, including spicy Andouille Sausage, each with its own distinctive flavor. 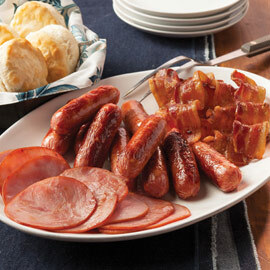 Plus we'll include our famous Amana German-Style Mustard for the perfect topping! Best brats we've ever had. 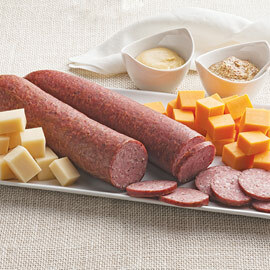 Love all that we've tasted, however we prefer the Swiss and cheddar brats the most. Ride along G's are well worth adding. These are the best bratwurst I have ever tasted! Perfectly flavored and juicy and they don't shrink up when you grill them! Perfection! I usually get these when I am back home in Iowa, but this year had to order them. Super easy to order and arrived very quickly. Delicious! Can not wait to get them all on the grill. Delicious!!! I will order again. Great customer service. As I said in my earlier review of the Bratwurst, I am going to have a BIG day grilling. Now I have to worry about setting off the smoke alarm. Thank goodness I also have the perfect solution for that--a TALL rotating fan takes keeps the smoke from setting off the smoke alarm. When I sold my house I gave all of my smokers, gas grills and other BBQ wonders away. NOW I am back in business. I get the grilling flavors and it is so much easier that cleaning out my old smokers. Grillers special! Great as always! We had a problem with the packaging of one item, and Amana replaced it at no charge. Great company! I love Amana brats. Many types, great flavor, perfect for the summer and the German in me. 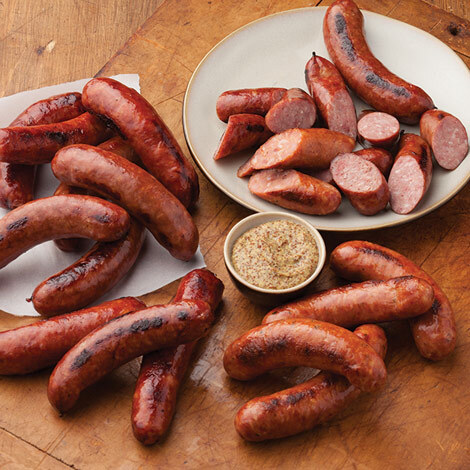 Our Amana Bratwurst in this pack are fully cooked and smoked - just brown, serve, and enjoy! Preheat your grill or skillet to medium or medium high, and cook approximately 5-6 minutes per sausage, turning during the warming process for even browning. Grills vary, so please adjust the time and temperature as needed. Once grilled, you may keep them warm in a crockpot. Top with your favorite condiments or relishes. We, of course, recommend serving them with our included German-Style Mustard and our Amana Sauerkraut - delicious! Call us for information on how to add sauerkraut to your order.